One of the most incredible smells on this planet is that of wild mountain sage, and there is no better place to experience it than at the North Rim of the Black Canyon in Colorado. The canyon as it is at some points deeper than it is wide, hence the term “Black”, as daylight never reaches some points of the Gunnison river a thousand feet below. The variegated rock formations lining it’s vertical walls are oddly reminiscent of “the leap of faith” scene in “Indiana Jones and the Last Crusade”, but it’s what grows at the top that I’m talking about. 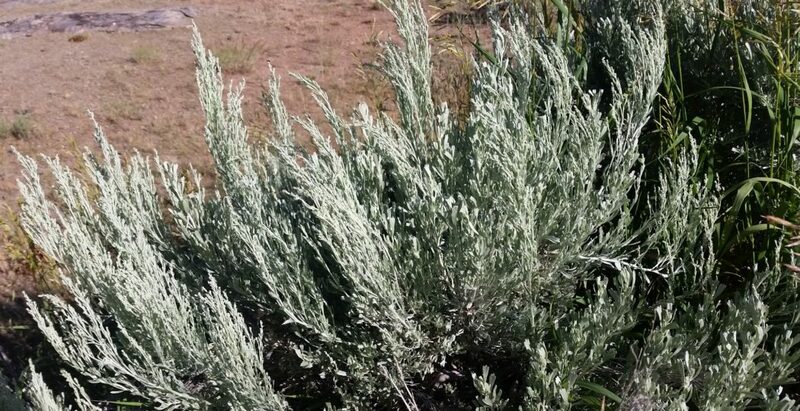 Mountain sage is a non descript scrubby bush that covers much of the landscape out west; on a calm day, there’s not much of a reason to pay much attention to it, much like dandelions or privet hedge here in Arkansas. But when the wind begins to blow, the scent begins to carry, a clean, almost astringent odor that just defines wide open spaces. But if you really want to get the full effect, you have to bruise the plant by rubbing it in your hands; dad even goes as far as to rub it on his face before donning his motorcycke helmet so the scent is intensified as he rides. He even goes as far as to pack his tent with sage before returning home so when he sets up camp, the smell of the mountains permeates the tent no matter the location, but the point is that it involves stress to bring out the best. Dad has a friend that has recently came through a rocky period in her life; a tough divorce followed by a seeming endless series of deadbeat dating disasters, each one more dysfunctional than the last, but now she’s met Mr Right. The incessant pummeling over the last few years somehow prepared her for this next stage of her life; now she’s now looking forward to a brighter future, not damaged by past experience but a better person because of it. I have to think my previous life affected me in the same way, as I wouldn’t be the dog I am today if I hadn’t had to face the adversity of the crate; the loneliness, the claustrophobia, the stench, my only view off the world constricted by plastic holes to my right and left and a steel grate in front of me. I perhaps could be forgiven if the experience had made me bitter and distrustful, but that is not the case; on the contrary, I am now more thankful and determined to make the best of each day allotted to me. I had a sage stick for almost 5 years!!! I’d burn a little bit everyday!! One the best smelling things in the world!! Even better is how it smells after a summer rain! Wow, I do believe I would love this plant. Mmmmm! I also love the smell of the creosote bush after a rain. I think my sage comment went on another story. Isn’t it the same kind of sage that Indians use for purifying? Thank you for this thought today.